Around this month two years ago, I collaborated with guest writer Sean Provost on a Destination Film article about his trip to the historic and beloved Mahoning Drive-In Theater, one of the last surviving drive-in theaters with the largest CinemaScope screen in the state of Pennsylvania (check out our write up on the Mahoning Drive-In here). 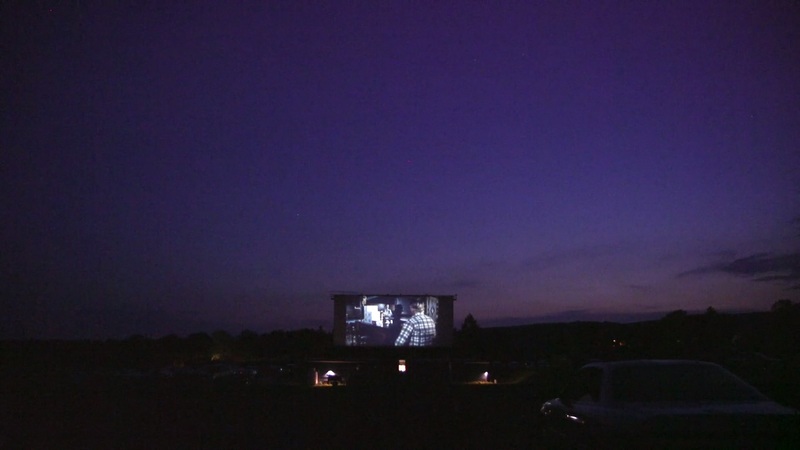 Known for exclusively projecting 35mm film using Simplex projectors from the 1940s, in recent years the drive-in upgraded to makeshift digital with a portable booth installed for unique film festivals as well as a backup in the event a 35mm print shipment is delayed. 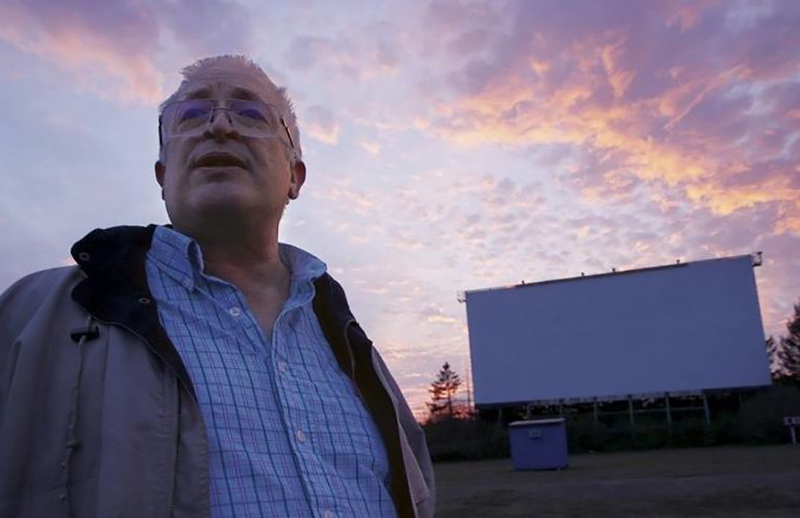 As the theater prepares to reopen for its 2019 Season Premiere in April, something truly wonderful came about at the end of 2017 when documentary filmmaker Alexander Monelli decided to turn his camera on the historic Mahoning Drive-In and it’s owner and film fanatic volunteer managers with the nostalgic and highly enjoyable At the Drive-In! Unable to purchase a $50,000 digital projector per the newfound industry standard of doing away with striking celluloid prints, At the Drive-In both chronicles the long, arduous journey taken on by manager/head-projectionist Jeff Mattox and his business partners Virgil F. Cardamone and Matthew McClanahan as well as capturing their kindred passion for keeping the drive-in theater experience alive. Much like the Peter Flynn directed documentary The Dying of the Light which saw the gradual dissolution of celluloid film projection in favor of digital, At the Drive-In is a heartfelt and sincere love letter to cinema and a tribute to the dedicated cinephiles who make all the blood, sweat and tears of managing the theater worth it. As with the Michigan based Redford Theater as well as many other non-profit theater venues in effect, the Mahoning Drive-In is a volunteer effort with nearly all the staff members working scheduled events for free with all the profits forwarded back into the theater. 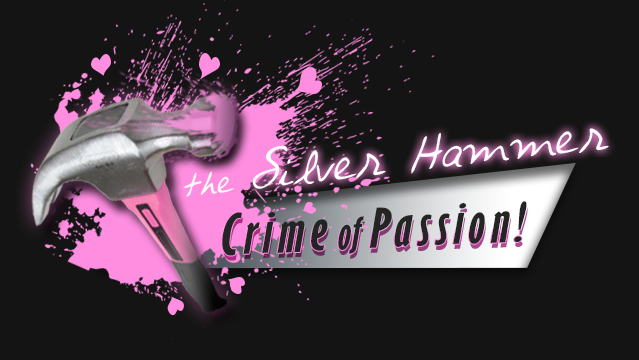 Providing a thorough overview of the theater’s history as well as the ups and downs faced by the current crew, including but not limited to low attendance, print shipping delays and/or the prospect of it all shutting down due to a lack of funds, one comes away with a mild-at-best understanding of the hardships of running the theater. But when you see the hundreds of movie fans from across the nation clamoring at the entrance of the historic theater for the latest film festival or special event, you understand why the people running the Mahoning Drive-In do what they do. 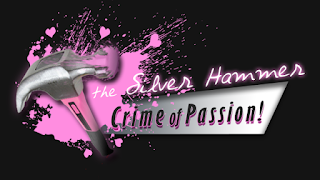 The group camaraderie and mutual love for the drive-in theater scene is something the elite chain multiplexes can never offer and for many the films being shown are secondary to the shared communal experience. 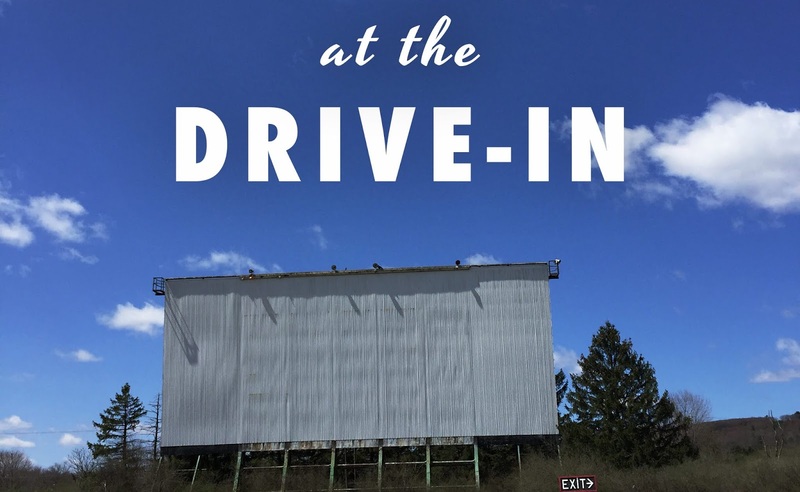 A few peers of mine are regular attendees of the Mahoning Drive-In and seeing At the Drive-In can’t help but create excitement about one day venturing out to this historic film venue myself. If nothing else, At the Drive-In is a testament to what makes both the Mahoning and the drive-in movie theater experience in general a still vital experience modern moviegoers should be able to have even as the film industry continues to move away from it. Getting to meet the people through the film running the theater and hearing their backstories about how they came to be involved with the Mahoning Drive-In was eye-opening and spoke volumes to many more like-minded individuals dedicated to keeping the bygone eras of film exhibition from fading into the night. As a documentary, At the Drive-In has the capacity to make you want to buy a ticket and drive cross-country to the drive-in theater tomorrow! I know I can’t wait to go!